These Fellowes Transparent Plastic Covers are suitable for use with wire, coil, and comb binding. These covers allows the first printed page to be displayed, leaving you free to create your own title page. The 200 micron clear cover protects the pages to preserve the professional appearance of your documentation. 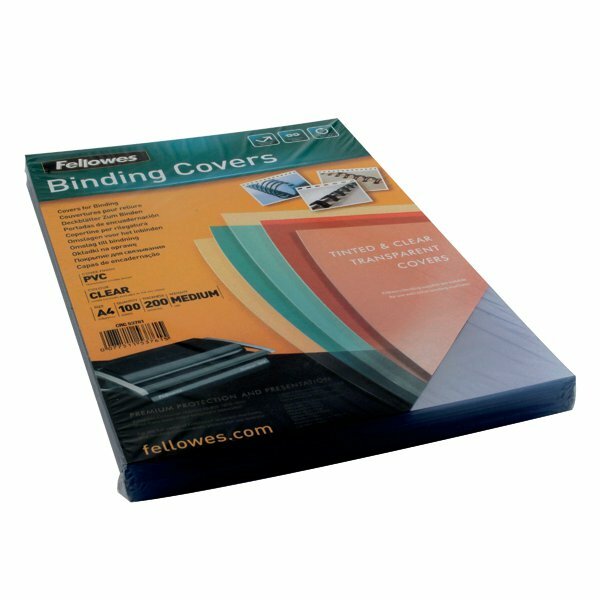 These covers are for use with A4 pages and come in a pack of 100.